A bronze sculpture by Alberto Giacometti reached a world record price at auction earlier this year. The life-size sculpture of a man was sold in London for just over one hundred million dollars. 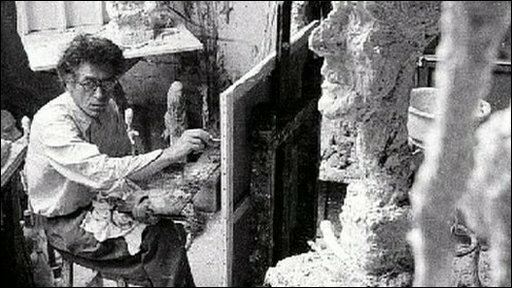 But Giacometti himself worked until his dying day in a dilapidated hovel in a rundown area of Paris. His studio has now been described as one of the most evocative spaces in 20th century art. Now many photographs have been collected by the art Historian Michael Peppiatt, who has curated the Giacometti exhibition at Eykyn Maclean in New York.